Marion Palfi was born in Berlin, Germany, in 1907. Her father, was Victor Palfi, an important German theatre director and as a young woman appeared in several films. Palfi studied photography and in 1934 Palfi opened her own portrait studio in Berlin. She also worked as a freelance photographer for various German magazines, but as a result of the German government's racial policies she moved to Amsterdam. In 1940 Palfi arrived in the United States where she continued her work as a photographer. A member of the Photo League, Palfi was awarded the Rosenwald Fellowship in 1946. She used this money to travel throughout the United States photographing examples of racial discrimination. 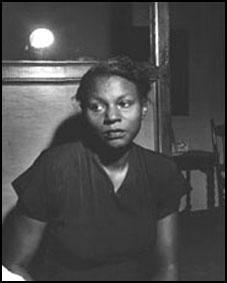 Her photo essay on Jim Crow laws and lynching, There is No More Time, was published in 1949. The Photo League was investigated by the House of Un-American Activities Committee during the late 1940s. This led to members being blacklisted and Palfi, fearing that she would lose her US citizenship, left the organization. 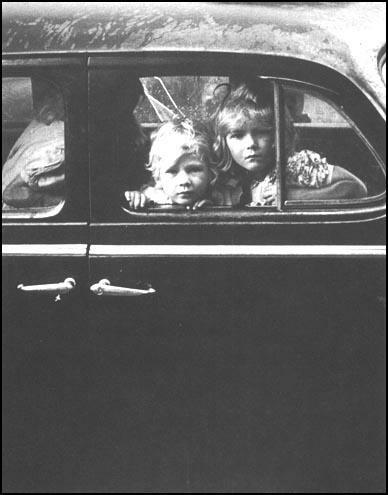 Palfi's book on child neglect and juvenile delinquency, Suffer Little Children, was published in 1952. Three years later Edward Steichen selected several of Palfi's photographs for his The Family of Man exhibition at the Museum of Modern Art in New York. Involved in the campaign for African American civil rights, in the early 1960s Palfi used her Taconic Foundation grant to make a photographic record of voter registration in the South. In 1967 she received the Guggenheim Fellowship to document the lives of Native Americans. A retrospective exhibition of Palfi's work, Invisible in America, took place at the University of Kansas in 1973. Marion Palfi died in Los Angeles in 1978.